One person’s safeguard is another person’s hurdle. The motives of a bill that would require a notarized signature to get on the Permanent Early Voting List were called into question in Thursday’s House Judiciary Committee. HB 2350 died in committee (though the idea could still pop up in another form during the session) after a tense talk that was cut short by the committee’s chair. The bill’s sponsor, Rep. Carl Seel, R-Phoenix, asserts that notarized signatures are the equivalent of the I.D. check at the polls. Rep. Lupe Contreras, D-Avondale, thinks Seel isn’t looking to reduce fraud as much as he is the Latino vote. “I think it is a red herring, quite honestly, to throw the race card out there,” Seel said. Contreras questioned why fraud needed to be addressed now. Seel pointed that more people are voting early. Contreras pointed out that many of those voters are Latinos. “Yes, in every way shape or form. Yeah,” Contreras said. It was at this point that committee chairman Rep. Eddie Farnsworth, R-Gilbert, intervened. Farnsworth told Contreras he was out of line. He then held the bill, saying it didn’t have the votes. Member’s concerns about the bill varied. Rep. John Allen, R-Scottsdale, took issue with the requirement that notaries work for free. Under the bill, notaries would not be allowed to charge permanent early voter hopefuls. 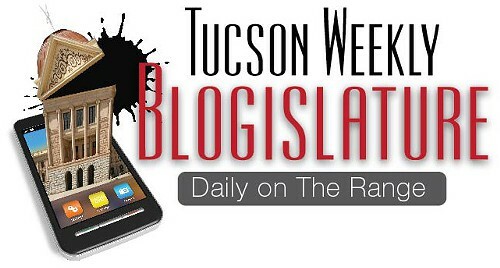 Rep. Ethan Orr, R-Tucson, said that requiring voters see a notary is a very high standard. There are vast areas of Tucson where it is hard to get a public notary, he said, by default the standard disenfranchises people that tend to have a lower socioeconomic status.